On Wings of Eagles: The Lord Can Use What we Think are Our Failures. Concerned about the disintegration of the home and the increased divorce rate, James Dobson, at the time a little-known psychologist of a southern California university hospital, wrote a book in the early '70s in support of corporal punishment entitle "Dare to Discipline." The popularity of the controversial volume caught the eye of TV talk show guru Phil Donahue. He invited Dobson to appear on his Chicago-based show in 1978. Donahue made the Ph.D. in child development look like a child. Dobson readily admits his performance on Donahue's show was his worst ever. He left the set feeling like a failure. But Dobson's despair was short-lived. The next day he sought out a 65-year-old advertising agent in a Chicago suburb to discuss the possibility of a national radio program. 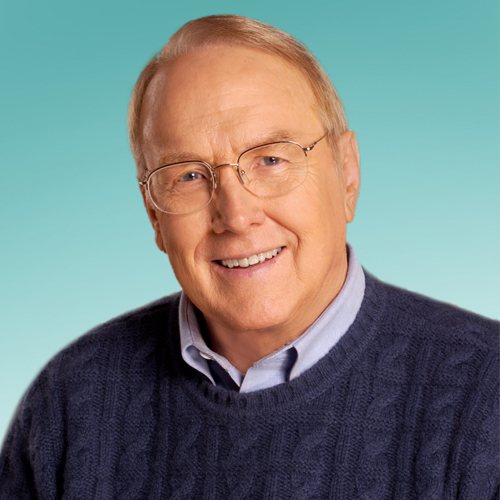 Doug Mains invited Dobson to his one-man studio in Wheaton, where Dr. James Dobson proceeded to record the pilot broadcast of "Focus on the Family." What has developed from a disastrous television appearance is nothing short of mind-boggling. "Focus on the Family" is heard on more than 6,000 stations around the world. The 10 magazines Focus publishes reach 2.3 million families each month. Give your plans to the Lord and let Him direct them. Today in prayer, allow Christ to be your strength and follow Him no matter where He leads. Dear Lord, we pray that even when things don’t go as we think they should or it looks like we failed that we would still trust You. Knowing that You can work everything out. In Jesus’ Name, Amen.